There are many different branches to our underground community, and all of them have important messages with positive goals to achieve. I was lucky enough to sit down with a group of the JenkStars community: Healing Arts Liaison Alethia Maki, Boss Boss Barbarella Roller, Creative Director Birdie Hess, Marketing & Media Strategist Christian Caballero and Chief Wrangler Kari Larson. 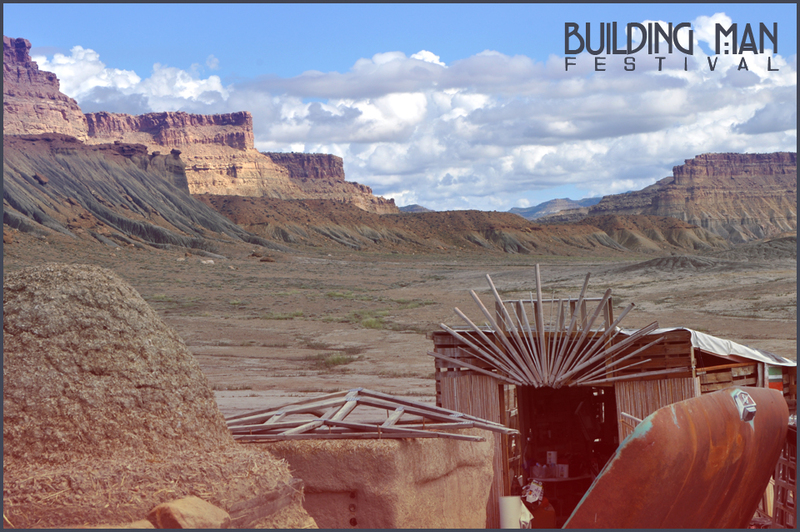 The JenkStars’ upcoming event, Building Man, will take place this May 4–7 at The JenkStar Ranch, located outside of Green River, Utah. The name JenkStars is a derivative of the word “janky,” which is typically used to describe something that is broken or discarded. To the JenkStars, it means taking something broken or discarded and upcycling it, often into an art piece or functional item. The “star” in their name also has a history, hearkening to the Solar Saucer 1.0, a solar-powered DJ booth constructed in 2006. It developed a following known as the Cosmonauts, giving rise to a galactic, space-alien-meets-western theme and drawing together a collective of the creative and cosmic. For the JenkStars, the star is a symbolism of how the junk—or “jank”—can evolve into something amazing, and the JenkStars are one of the few groups in Utah facilitating that transformation. Sustainable living is one of the JenkStars’ goals, and that means leaving less of an imprint on your environment, creating community around you, finding avenues to express yourself and discovering the passion in your life that makes you whole. It means growing up with a new generation and teaching them a new way of being; reconnecting with the earth and learning to grow your own food; becoming more self-sustainable and not part of the system. Sustainability means collaborating with those around you and finding a better way to live on this planet. This group of trailblazers is not one to copyright their ideas. They are not interested in simply being right, but in getting people headed toward the right direction. This is year eight of the Building Man event. It started as a simple group of friends and those who had worked with Scotty on the Solar Saucer. They were doing campouts down at the JenkStar Ranch property in Green River, and they decided to organize more and invite a larger group of people to the event. In the early years, the festival was called Spring Fling. At this time, there were a few live stage acts, DJs and themed workshops. It was less structured and more similar to the Melon Nights event that JenkStars hold in the fall. 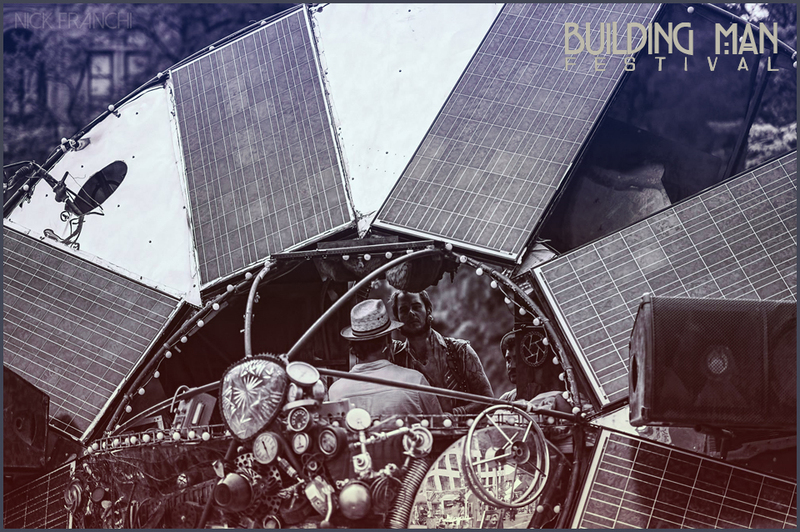 Once it evolved into a full-on sustainable living, arts and music festival, they changed the name to Building Man: an event dedicated to educating the people on alternative energy, art, music recycling and preserving our planet; an event designed to enlighten people to become more innovative in the way we use our resources; a festival run completely on solar energy. One of JenkStars’ noteworthy programs is The Coyote Camp, a place where children can learn to work with clay and build models of things like adobe houses. Children can also learn the didgeridoo, drums, singing, dancing, hula hooping and leadership. The JenkStars pass these skills onto the youth to establish and cultivate their cultural and environmental awareness. The idea is to provide a staying power required for their trailblazing ideas and sustainable practices to be passed onto future generations. In the past, it has been mostly JenkStar artists building things at the ranch. They are now curating a sculpture garden and have put out requests for artists to submit proposals to install permanent art structures. This year, they are doing a small amount of art grants, as it is a new program for them. Part of the grant process is that the artist must have their masterpieces built and installed on the land by the time the Building Man festival arrives. It seems that there is a “shape” theme to JenkStars’ sculpture garden, as the first piece was a trapezoid piece by Sugar Boy Shane and Craig Thompson, and the second was a triangle-themed piece built by an artist named Shrine On—a famous artist who resides in Los Angeles. 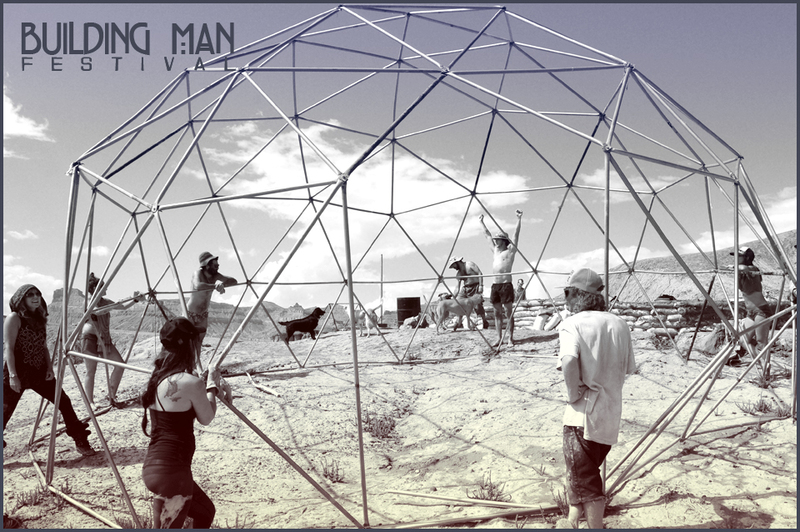 JenkStars also have a program called Burn the Man Save the Art, during which they go to Burning Man and other festivals to try and save some of the art installations instead of burning them. They feel that there is nothing wrong with the cathartic and healing experience of burning the art, but they do feel that it is sometimes done in excess. JenkStars collect donated art installations and take on the cost of moving them to The JenkStar Ranch to provide them a “forever home,” giving the sculpture a new life. 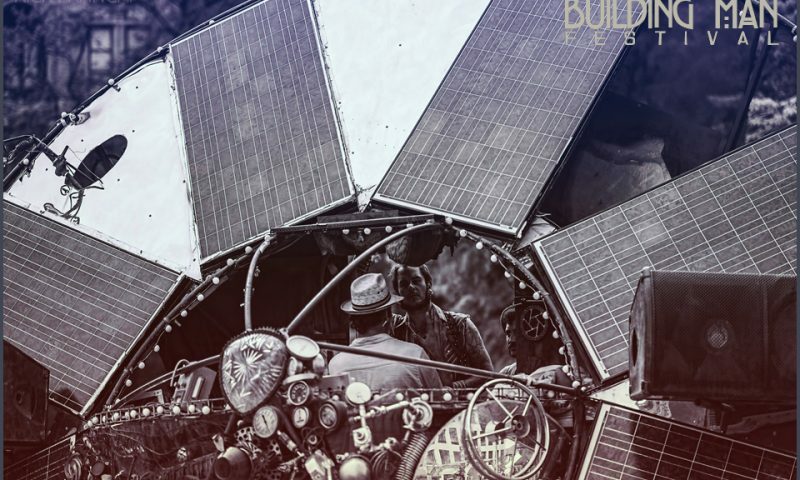 This can be a difficult task, as some of these art installations were designed to burn, but JenkStars have successfully collected a few pieces—they are particularly proud of rescuing the “Gearhead” piece that at Burning Man.